The granite cobbles of the Tremola road glistened in the September sun today after a rainy first stage in Switzerland. Topping out at 2,109m above sea level, the 137km long Stage 2 of the Haute Route Dolomites Swiss Alps ended atop the fabled San Gottardo pass. A first on the Haute Route, this climb is revered by Swiss cyclists and notorious worldwide due to its cobbled Tremola road. Dating back to 1832, the ascent comprises no less than 38 switchbacks on a seven-metre wide road. After its reconstruction in 1951 several sections of the original granite cobbles were left totally intact, as were some of the distinctive milestone markers that sit on the verges. Once the climb gets underway the riders’ view of the valley below is enhanced with every one of the 38 switchbacks. As they steadily gain height, the kilometre markers help them gauge their progress towards the summit and count down the turns to the renowned bratwurst restaurant at the top. Averaging 8.1% over 11.6km, the San Gottardo is by no means the toughest climb of the week, however it is undeniably one of the most memorable. Canadian Triple Crown rider Mark Coznes was breathless as he crossed the line: “those last five kilometres were tough,” he said. “It’s the first time I’ve climbed on cobbles, and probably the last,” he laughed. 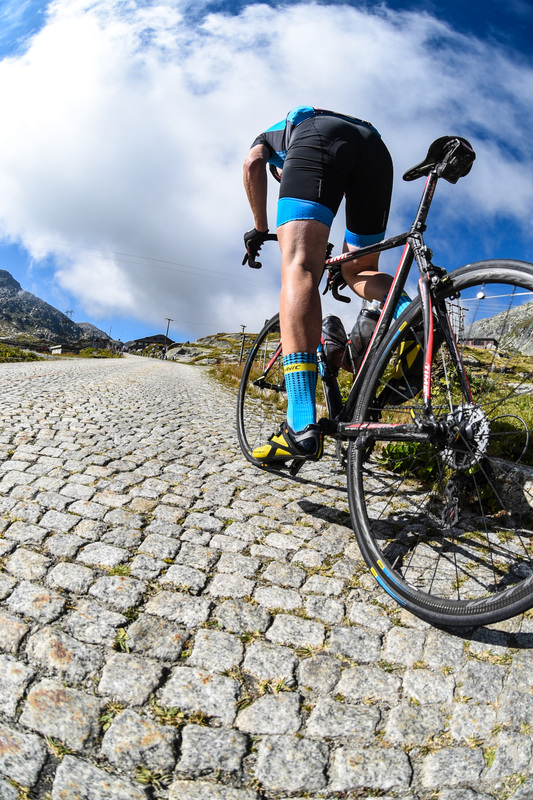 The cobbled switchbacks of the San Gottardo will undoubtedly feature in many riders’ dreams tonight. Race director Laurent Bezault better have something special up his sleeve if he wants to out-do today’s memorable stage in future years.